Visiting a Caravan and Motorhome Show is often an incredible experience for enthusiasts who travel UK-wide to see all the latest manufacturer and model launches, and to meet up with like-minded individuals. But in a vast venue – filled with so many distractions – how do you come away from the experience with something more rewarding than two sore feet, a rainforest of pamphlets and fistfuls of novelty pens? Here’s the Duvalay guide to doing a Caravan and Motorhome Show the right way! Get Booking – Book your tickets in advance to take advantage of early bird offers and decide how you’re going to travel to the venue. Take a note of the satnav reference and whether free car parking is provided. If you’re taking your caravan or motorhome with you, check whether overnight parking is an option. If not, find out the nearest camp site that can accommodate you. Invite Your Friends and Family – Shows are always more enjoyable when you share the experience. Put out the word you plan to attend and see who’s up for joining you. Always check what facilities are on offer before setting off with young ones in tow, but most modern shows offer crèches and a range of fun, interactive and age-appropriate distractions that free you up to go wandering. Decide on Your ‘Big 3’ Objectives – Whether its finalising which caravan or motorhome you’re going to invest in, or searching for that one bit of innovative kit (such as an award-winning Duvalay luxury memory foam sleeping bag) that’s going to make your ‘home from home’ so much comfier, be crystal clear on what your number one goal is to accomplish. Choose a second goal that’s going to make your hobby safer – such as a lesson in how to tow your touring caravan – and a third goal that’s just for fun (celebrity spotting or enjoying a cookery demo gets our vote!). Plan Your Visit – Use the show’s website to plan your personal itinerary – especially if you want to catch an expert demonstration, a workshop or product unveiling. Set mobile alerts to remind you when it’s time to head over to a specific place (bearing in mind that the venue is likely to be busy and progress through the crowds can be slow). Block out time for food and refreshment breaks and allow a degree of flexibility for when something inevitably catches your eye! Dress for Comfort – Packed venues tend to be on the warmer side. Wear layers that can easily be removed or added as and when needed. Wear comfortable shoes that are suitable for a day of walking. Pack Right – While many merchants have card payment devices, not everyone will. Take some cash with you in-keeping with your overall budget. Planning to make a big purchase or join a membership club? Bring proof of your identity with you (household bills with your address on and photo ID) for hassle-free applications. Store these in a money belt or secure bag that you plan to keep with you at all times. Travel Well – Enjoy a filling breakfast (or lunch if you’re going in the afternoon) before setting off in good time. Follow traffic reports to get the heads up on any congestion or diversions and be prepared for queues at peak times. If you’re in a group and travelling in more than one vehicle, arrange a meeting point at the venue in case you become separated. When you arrive, use your mobile phone to photo any parking references (block or row indicators) as a visual reminder and to help you find your vehicle more quickly at the end of the day. Don’t Be Afraid to Say ‘No’ – While it’s tempting to grab every freebie that comes your way, before you accept anything (and especially heavy glossy brochures) ask yourself: “Am I prepared to carry this round with me all day?”, “Could I get this information online?” and – for novelty and promotional items – “If I had to pay for this, would I still want it?” You’ll find your bag is a lot lighter and takes less time to empty when you get home! Enjoy Yourself – Inspite of all your best laid plans, your show visit WILL take a turn for the unexpected… It’s inevitable with so many shiny new caravans, motorhomes and gadgets to see! Go with the flow and – providing you achieved your top three goals – you’ll have a ball! 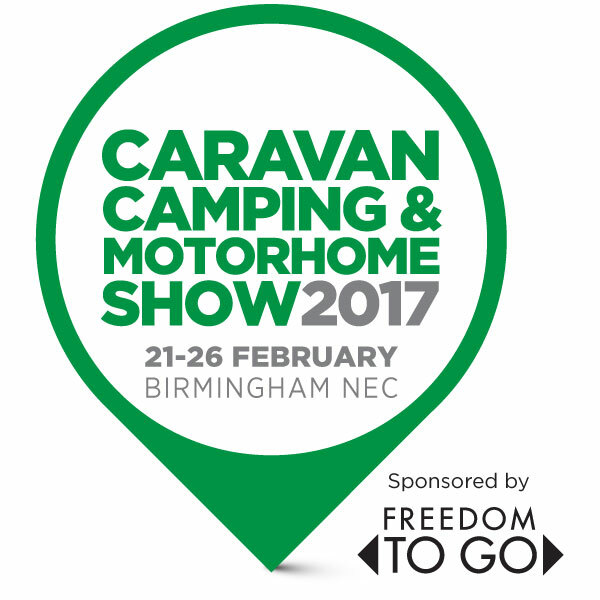 Book your tickets with discount code DVLY and visit stand 1421 to try out our award-winning memory foam sleep products at The Caravan, Camping and Motorhome Show 2017 at NEC Birmingham from Tuesday 21 February to Sunday 26 February!! Enter our competition for the change to win FREE TICKETS!